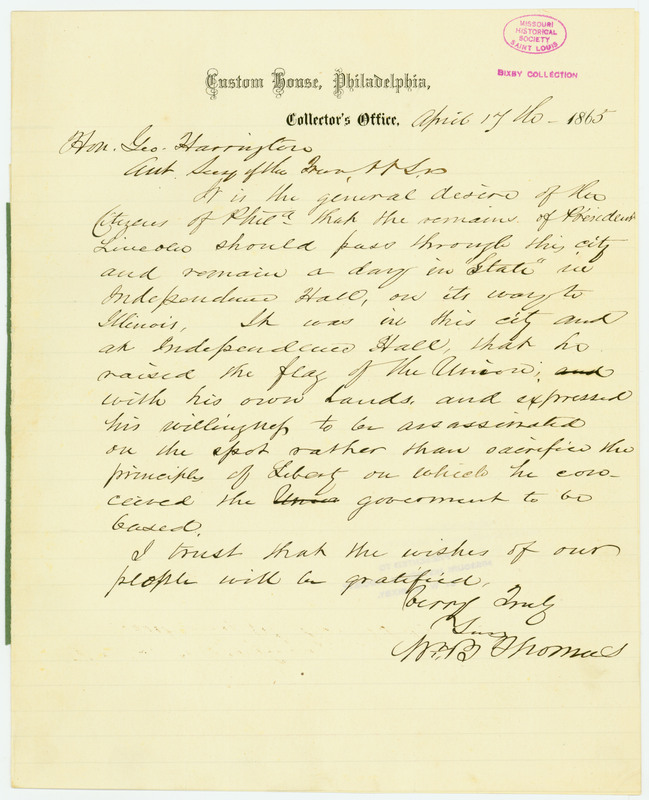 States, "It is the general desire of the Citizens of Phila. that the remains of President Lincoln should pass through this city and remain a day in 'State' in Independence Hall, that he raised the flag of the Union, with his own hands, and expressed his willingness to be assassinated on the spot rather than sacrifice the principle of Liberty on which he conceived the government to be based. I trust that the wishes of our people will be gratified. . . ."